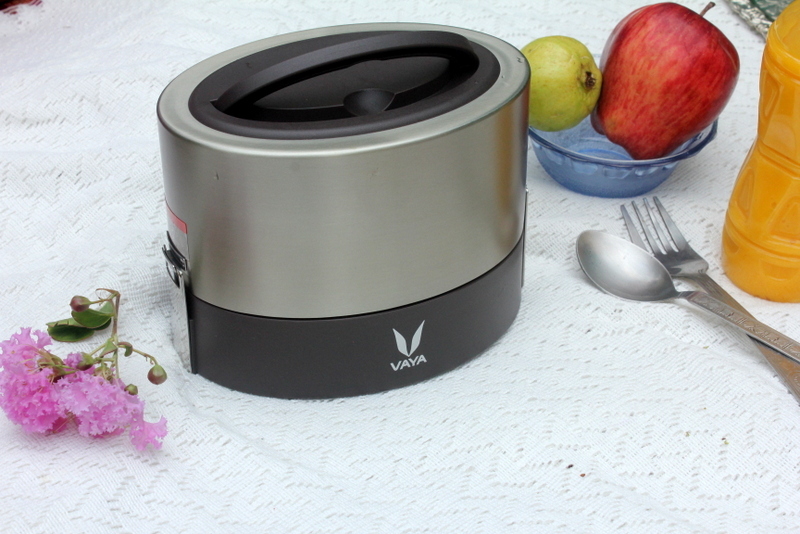 Vaya Tyffyn – The new age dabba! You know a brand has made an impact when it becomes a way of life. 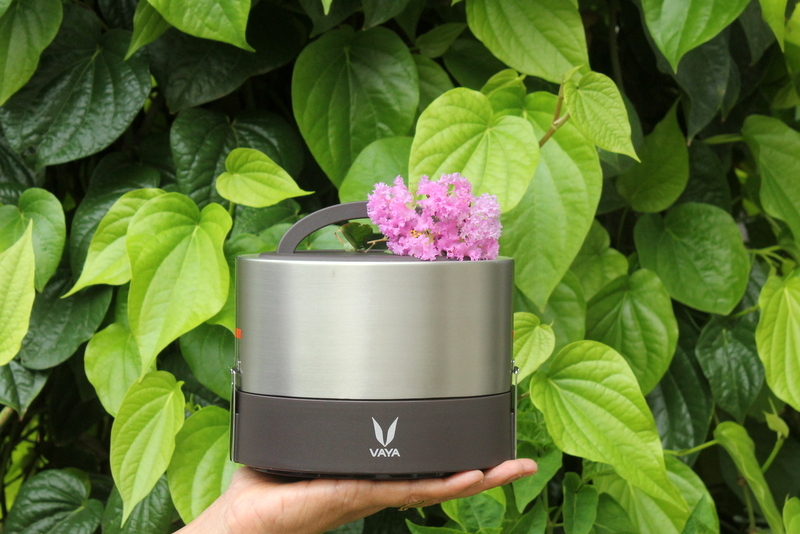 Vaya has innovated something that desperately needed a makeover since years – the good old tiffin box. 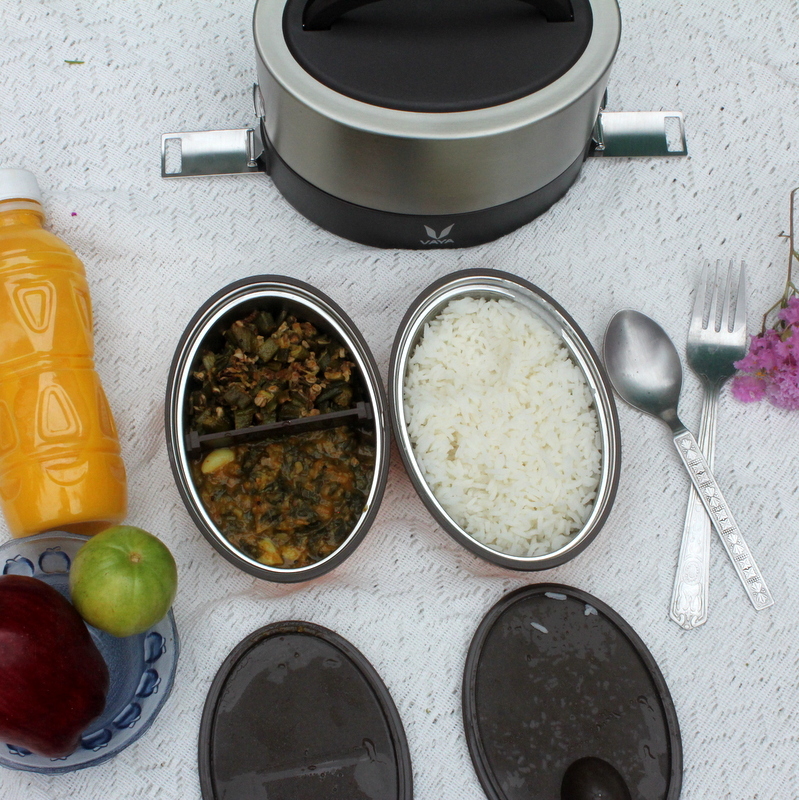 Remember those little steel boxes and tupperware boxes you took for lunch when you were in school? From sharing your box with your best friends, to being so excited for lunch break because you knew mom had packed your favorite food, it has always stood for more than what it’s functionality was. Having a home cooked meal when you are away from home is one of the best feelings ever. 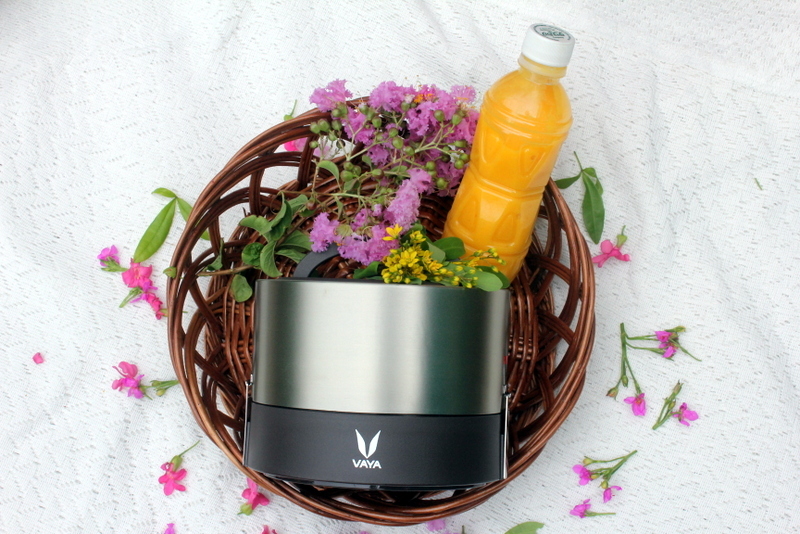 The whole idea behind Vaya launching this new range of boxes was to take something personal, something ‘everyday’, and make it special, almost like a fashion accessory yet without compromising on the quality, functionality and style. Now you get to have home cooked meals (piping hot, might I add), still make memories, and look fashionable as ever! I still pack a home cooked meal for my husband when he leaves for work. Our twenties were all about hectic work life, social life, and overall unhealthy lifestyles of eating out pretty often in every imaginable place possible. Thirties are for making healthier lifestyle choices – which means eating healthy home food everyday. The main challenge when carrying a box is to make sure that the food stays warm when it’s actually time to eat. 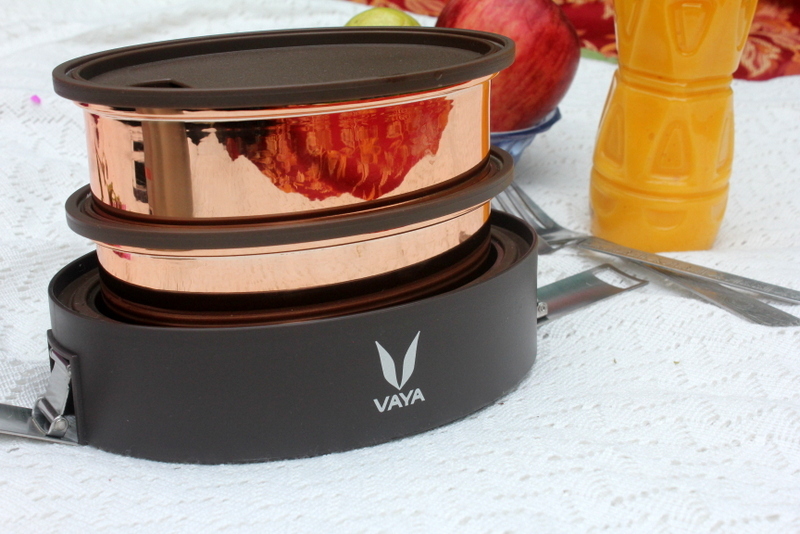 And that’s one of the major concerns that Vaya has addressed with their design. The Vaya Tyffyn comes in two varieties – 600ml and 1000ml. The 600ml is what I am going to talk about today. 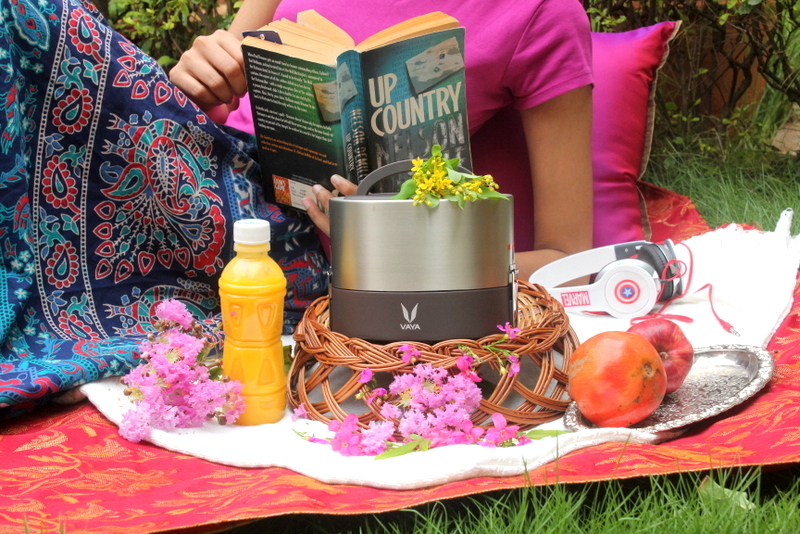 It comes with a vacuum insulated lunch gear that keeps your meal warm upto 5 hours. 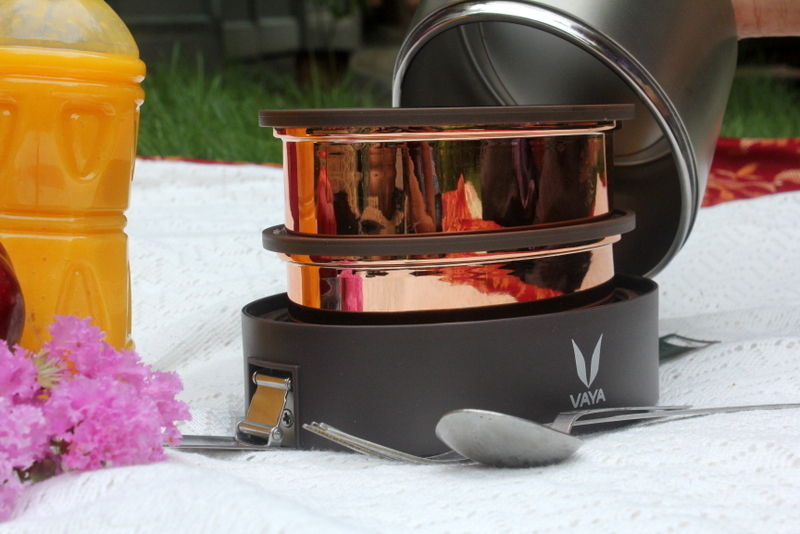 The two copper finished stainless steel containers in it come with leakproof double shot lids, smart sized compartments and stainless steel latches. Naturally it is leak resistant and is made of the highest quality of materials and finishes. 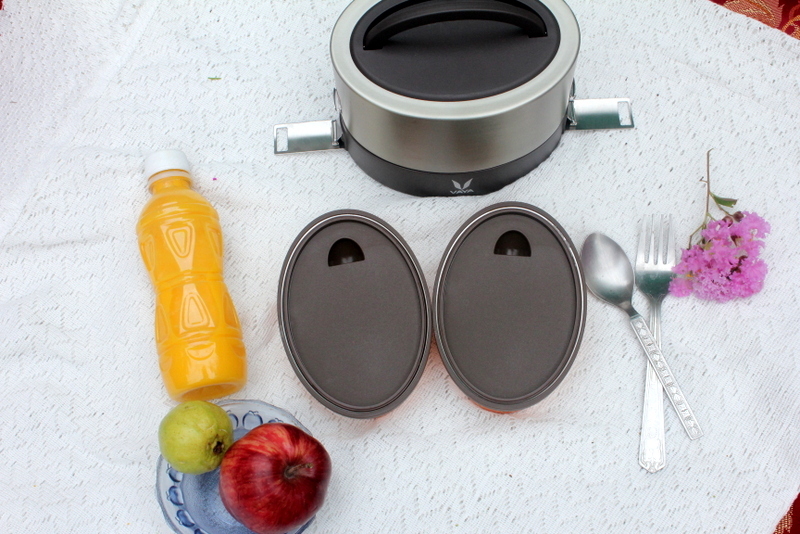 It also comes with a bag, that turns into a bagmat, conveniently giving you a neat little space to have your meal. Now the fun part, or the fashionable part is the number of variants you can choose from! From a cool cheetah finish, to a dewy blue and a wool print, there’s a little something for everyone. In their recent launch at Taj Krishna Hyderabad, to which I was invited, they released their latest variant which is a sleek subtle gold with an exquisitely smooth finish. 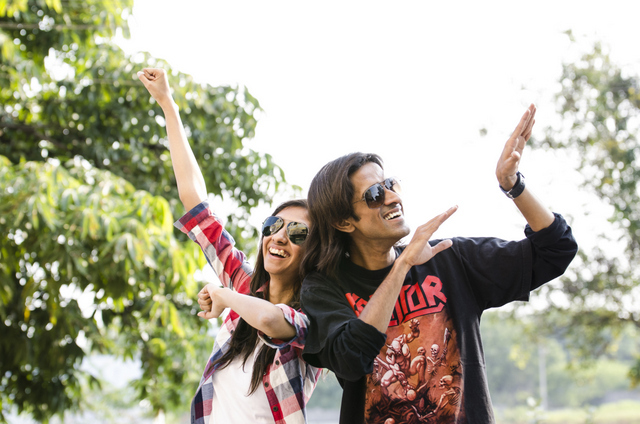 No one would ever guess that you were carrying a tiffin box!